Eight Crazy Nights — MommiesRun. Happy Hannukah! Tonight is the first night of Hannukah so I think it would be a great time to do one of those awesome running gift giving guides. This will be an eight part series because, well, there are 8 crazy nights of Hannukah! 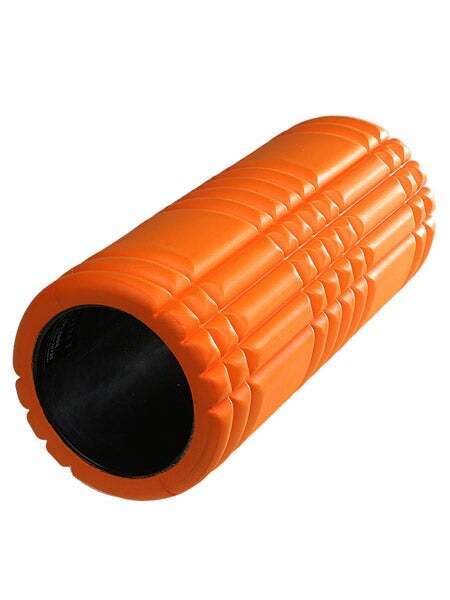 This is a Grid Foam Roller. You need this. It will change your life. I don't have the Grid, I have a traditional foam roller, but I've felt this guy and it's amazing. Foam rolling definitely changed my running game. A lot of my hip flexor issues went away. I say foam rolling "hurts so good". I now foam roll my whole body from back to shins/calves. It's amazing, and I'm telling you, you need this. This is a sweet necklace from Erica Sara Designs. Obviously mine would say "13.1" but how cute is this?! You can even have the back engraved with a special race date. Mine would clearly be from the St. Jude Half. Check out her website because she has a bunch of gorgeous stuff. She even has Hebrew charms which are just perfect for Hannukah! Stay tuned for 7 more nights of gift giving! What are some of your favorite gifts that you've GIVEN? Dec 14 Tell Your Friend Veronica, It's Time To Celebrate Chanukah!